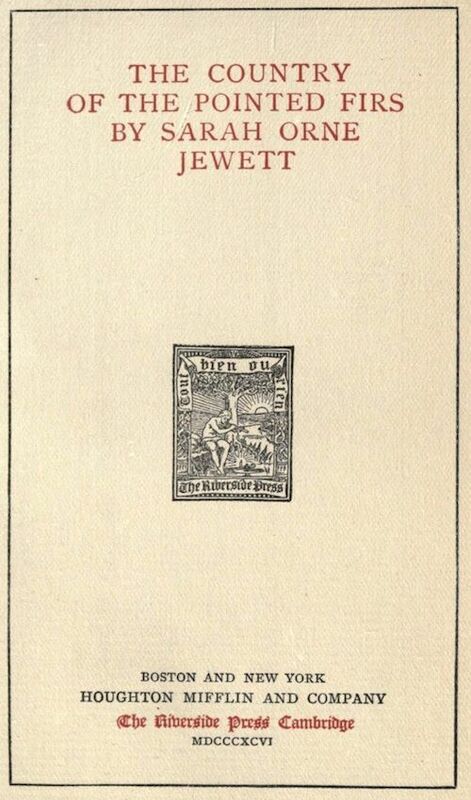 The Country of the Pointed Firs is a remarkable short story sequence or novella published in 1896 by the American novelist and short story writer, Sarah Orne Jewett. The rich vignettes were praised by Henry James as a "beautiful little quantum of achievement." The novel is held together by the unifying theme shared by each story's depiction of characters, particularly the effects of isolation and hardship experienced by the inhabitants of the decaying fishing villages along the Maine coast. The novel is often likened to Sherwood Anderson's Winesburg, Ohio. Return to the Sarah Orne Jewett library.